Of course one has to have a Facebook Page to be a part of this community. One also had to join. 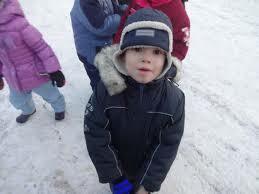 But one will find a wonderful mix of resources and stories on the site. St. John Chrysostom, as you might imagine, chooses the latter option, and argues for it. A summary of the story: JoAnne, in her middle years, contracted multiple sclerosis. Her first impulse was to withdraw. She contacted the Multiple Sclerosis Society, and through this contact gained a very close friend named Irene, and they would go out with their husbands to concerts and other public events, and would smile at people who stared at them. At her Church, the Greek Orthodox Cathedral of the Annunciation in Boston, Massachusetts, a new priest asked JoAnn to host an informal coffee for other parishioners in her neighborhood. This opened up for JoAnn her sense that she still could make opportunites to serve. 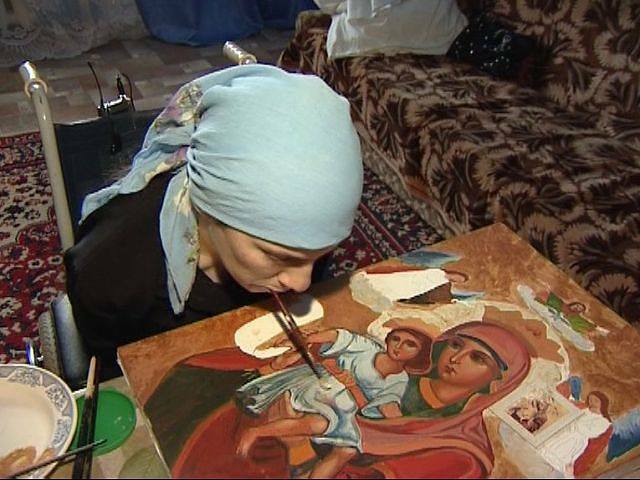 In the aftermath of this Divine Liturgy, she formed a group in her home, named Embracing Access, for people with disabilities and their family members. Another thing I learned from this chapter is that I gave incorrect information a while back as to the author of the SCOBA (Standing Conference of Canonical Orthodox Bishops in the Americas) document Disability and Communion. I mistakenly assumed that it was the late Metropolitan Philip of Blessed Memory who was behind this document, as his favorite charity was an ability ministry in the country of Lebanon, Al Kafaat. JoAnn Misail’s story reveals the true author of the document: JoAnn Misail herself, with the editorial help of Father Deacon. John Chryssavgis. Sorry about that, JoAnn! Thank you for this marvelous declaration! Even if persons with developmental disability lack the potential to ever reason abstractly, their experience of the Mysteries (the Sacraments) can be just as rich as those who can reach that stage. For the Mysteries have Divine depth, and always beckon one forward to greater participation and fuller comprehension of their import. For the experience ultimately transcends conceptualization. This Orthodox Christian brotherhood (and sisterhood) cares for the elderly, prisoners, those who are sick, the homeless, and disadvantaged children, through the Dom Miloserdia childrenТs shelter. They also run a youth club. The picture is from a webblog authored by Anastasia Ciano entitled Love is the Key. In this post she recounts her experiences at the Dom Miloserdia Orphanage in her post Life, Love, Grace, or Carefree? She recounts the changes she saw at this orphanage from her stay there (2001- 2002) until her recent internship (2013) in Then and Now. To see more of her pictures, access her Facebook page My Journey. After the death of her husband Publius, St. Anastasia began to distribute her wealth to the poor. Dressed as a beggar, she would secretly visit Christian prisoners. Through her medical skills and her intercessions many were healed from the effects of poisons and potions. Arrested in Illyricia, she was brought before the pagan priest Ulpian in Rome. Asked to choose between instruments of torture and gold, jewelry, and fine clothing, she chose the instruments of torture. Charmed by her beauty, Ulpias sought to defile her, and was struck with blindness and a severe headache. On the way to his pagan temple to appeal to his idols, he perished. Anastasia was set free, and continued to visit Christian prisoners. But she was again captured and sentenced to death by starvation. St. Theodota the Martyr, whom she had assisted in prison, appeared to her to strengthen her. After remaining unharmed sixty days without food, she was sentenced to die with 120 other prisoners. On the open sea, the sailors bored holes in the boat and escaped in a galley. 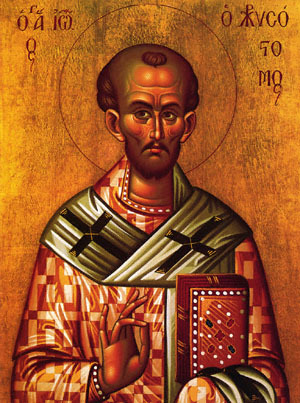 But St. Theodota guided to boat safely to shore. 120 men saw this, and believed and were baptized. They were all captured and martyred for Christ. Stretched between four pillars. St. Anastasia was burned alive. Her body, unharmed by the fire, was buried by a pious woman, Apollinaria, in the garden by her house. Her relics were later translated to a church that was built and dedicated to her in Constantinople. Some time after this, her head and one hand were transferred to the Monastery of St. Anastasia on Mt. Athos. When they that are found in trials and adversities flee unto thy church O Anastasia, they receive the august and wondrous gifts of divine grace which doth abide in thee; for at all times, O Saint of God, thou pourest forth streams of healings for the world. Those in temptations and afflictions hasten to your temple and are restored by the grace that dwells in you, for you ever pour forth healings for all the world,O great Martyr Anastasia! Your lamb Anastasia, calls out to You, O Jesus, in a loud voice: “I love You, my Bridegroom, and in seeking You I endure suffering. In baptism I was crucified so that I might reign in You, and I died so that I might live with You. Accept me as a pure sacrifice, for I have offered myself in love.” Through her prayers save our souls, since You are merciful. As a martyr you emulated the deeds of the martyrs, to whom you ministered, and, striving valiantly, you overcame the enemy. You are an abundant and overflowing source of grace for all who come to you, O godly-minded Anastasia! Mystagogy: Why is Saint Anastasia Known as the “Deliverer From Potions” (Pharmakolytria)? In his book “Foundations for Orthodox Christian Education” Dr. John Boojamra of blessed memory lays out the key means by which persons are socialized. This, of course, includes persons with disabilities. Addressing the personal development of persons with disability, including those with intellectual disabilities, proceeds on the same basic foundation that applies to everybody else. They, too, are made in the image of God. Yes, adjustments must be made, but not by putting them in another category. The word “special” must not be taken as “different.” It should mean that they are to be recipients of greater honor, as both St. Paul in 1 Corinthians 12:24 and St. James in St. James 1:9 affirm. 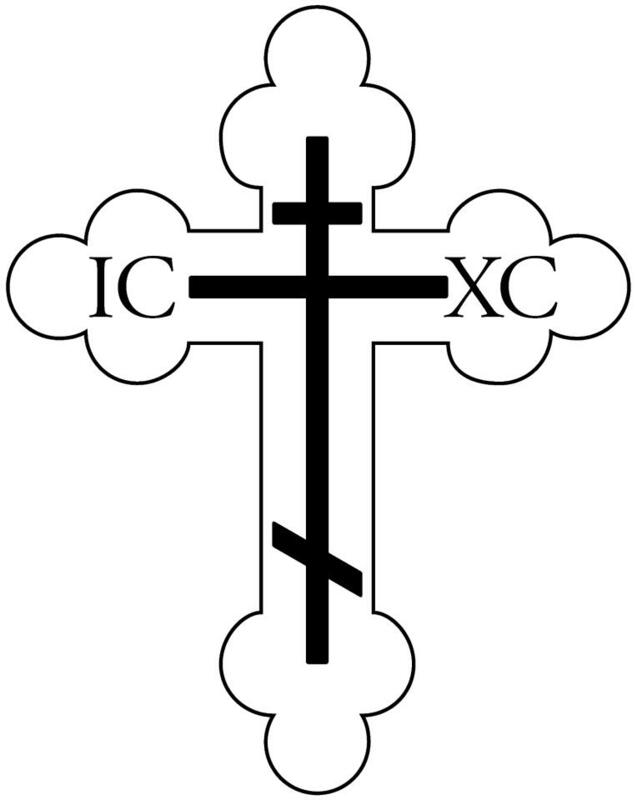 Orthodox Christian socialization is, in general terms, the process of human growth toward the uniting of oneself and others to Christ and His Church. Self-worth develops through accomplishment, acceptance, and a sense of belonging to both family and Church . . . the Church’s symbols and their constancy are assimilated; later, concepts [may] grow. The growth beyond egocentrism is facilitated by the shared experience of [these] symbolic structures, [whose] Divine depth invite eternal growth and discovery of the image of God inherent in every person.